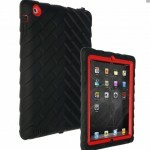 Finally, it appears that a tough, shock-proof and drop-proof case has finally emerged for the iPad 2. 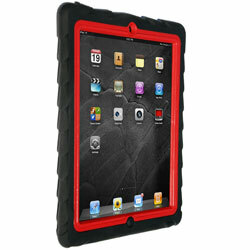 Introducing the Gumdrop Cases Drop Tech Series iPad 2 Case, which not only keeps your iPad 2 safe from all harm but also keeps it looking good. Unlike most iPad 2 cases on the market, the Gumdrop Cases Drop Tech Series iPad 2 case features multiple layers which gives it added shock absorption should your trusted iPad 2 ever fall from your grip. It also features a revolutionary and unique (and replaceable!) integrated screen protector which means that the most sensitive part of your iPad 2 will be the most protected. The Gumdrop Cases Drop Tech Series iPad 2 Case also covers all of the ports and controls whilst not in use, making sure no part of your iPad 2 suffers any damage. 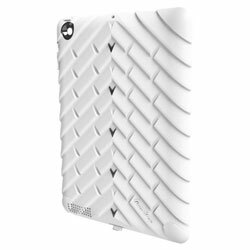 What’s even better is that the Gumdrop Cases Drop Tech Series iPad 2 Case is available in three classic colour combinations, choose from; Black, Black and Red or Black and White. The Gumdrop Cases Drop Tech Series iPad 2 Case is the ideal iPad 2 case for anyone who leads a busy, energetic lifestyle whereby their iPad 2 will be swiftly taken from place to place. It is also the perfect iPad 2 accessory for anyone who is conscious of their iPad 2’s safety and security or for anyone who has a tendency to drop things! 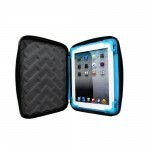 The Gumdrop Cases Drop Tech Series iPad 2 Case will keep your iPad 2 safe and secure no matter where you take it.